We scoured the world looking for the best international real estate investment opportunity in 2017 and found it … in Tbilisi, Georgia. Prices for real estate in Tbilisi are among the lowest from any capital city in the developed world, with prices for fully finished apartments starting from under $30,000. 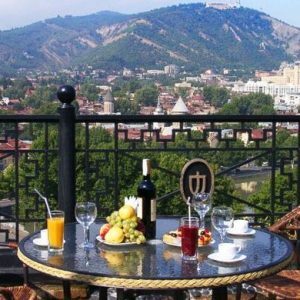 For anyone looking to purchase international real estate elsewhere and has found prices outside their reach, Tbilisi is the perfect buying destination. The number of tourists visiting Tbilisi each year just keeps on growing. In the first half of 2017 alone, the number of tourists visiting the city increased by over 30% and the number of international visitors arriving at Tbilisi Airport increased by more than 42%. And there’s still plenty of growth in the numbers to come. Currently the majority of visitors to the city are coming from the Middle East, Ukraine, Russia and the states of Central Asia. The number of direct flights to Western Europe are still limited. But, with new routes being added constantly, Tbilisi can look forward to increasing numbers of high-spending European tourists visiting the city over the next few years. The number of tourists visiting Tbilisi is increasing at a much faster rate than the number of hotel rooms being added to the market. This is leading to excellent occupancy rates – in excess of 80% for well-marketed properties – and relatively high room rates, especially in the busiest summer months. While there are significant numbers of apartments currently for rent in Tbilisi – both for long-term and short-term holiday rentals – most of the apartments have been finished and furnished to Georgian tastes. There is a major lack of accommodation in the city which is designed to appeal to the discerning and high-spending international market. It’s basic economics. High demand and low supply is the recipe for excellent returns. Add in the highly affordable buying prices for property in Tbilisi and you’re looking at some exceptionally high rental yields. For the right property in the right place marketed in the right way, you can be looking at Gross Rental Yields of up to 20%. 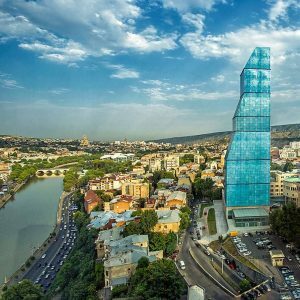 By investing in Tbilisi real estate today, you will be among the first wave of real estate investors to take advantage of the city’s unique opportunities. These opportunities aren’t going to remain a secret forever though. And once rest of the world wakes up to the potential of Tbilisi’s real estate market, prices are going to increase. Fast. As a result, ‘early adopters’ entering the market now can look forward to seeing rapid capital gains as the price of their apartment increases sharply. Some countries make it difficult for foreigners to buy property. But not Georgia. Buyers are able to buy property here on a full freehold basis under exactly the same terms as domestic Georgian buyers. The property registration system is incredibly quick and straight-forwarded. A property can be registered in your name in a matter of a couple of hours. The cost of registering a property in Georgia is only ₾50-200/$20-80 depending upon how quickly you want it processed. There is no Stamp Duty or the equivalent to pay, avoiding the hidden costs of property ownership common in most other countries. Wherever in the world you’re from, you’re unlikely to have much trouble getting into Georgia as the country has one of the world’s most liberal visa laws. And once you’re here, for most passport holders, you can stay here as long as you like – up to one year in many cases. Looking for a permanent second home? Then Tbilisi is an ideal choice. The cost of living here is the lowest in Europe and the climate and local hospitality are two more reasons why you should consider moving to Georgia. Anyone investing $35,000 or more in real estate has the opportunity of receiving Permanent Residence in Georgia – receiving all of the same benefits as native Georgians. To take advantage of this unique opportunity to get in on the ground floor of the World’s next big property hotspot, contact us today so that we can help you to find the perfect property that meets all your buying requirements.